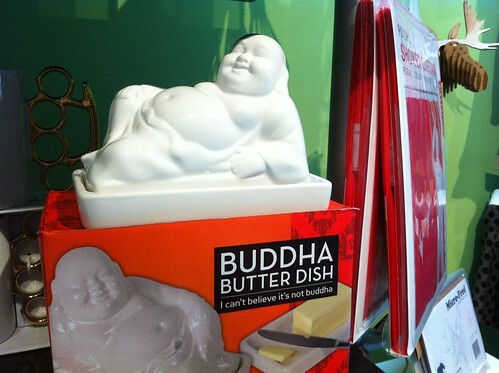 I saw this product this week, and I'm tempted. Williams Sonoma sells these ice cube trays, with the annotation that the cubes are two inches on each side. Each set, thus, makes two. These are pretty big cubes, and as with the spheres, the idea is to keep something very, very cold without it getting watery. It's why those stones also sell. A clever little tag line, no? I snapped this at Living Planet a couple of weeks ago. With school starting tomorrow in St. John's, I'm quite we're not the only household getting supplies ready tonight. 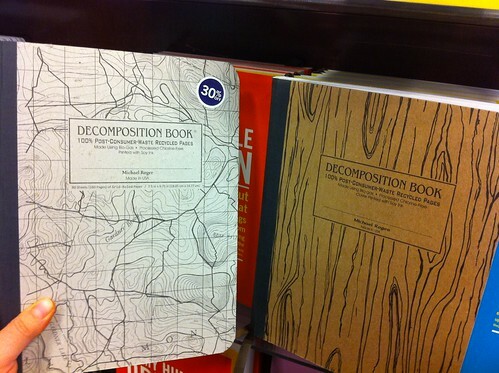 Martha spotted these notebooks the other day; I came close to buying them, just for the cover. This is a throw pillow. Really. A lot of people will find it funny, to have such a symbol of, say 80s and 90s working life. Their kids will not have a clue. As seen here. Something that will appeal to both the hopelessly sentimental and the hopelessly sarcastic. Star Wars has been a licensing behemoth pretty much from day one; long ago are the days when manufacturers like Kenner got caught short of product amid hefty consumer demand. Personally, I would have thought that Brand Star Wars had reached every product that would work. Um, no. Adidas has signed on for an official set of products. The sneakers, I kind of get - each set is inspired by an element of the films. But athletic togs in the manner of Darth Vader? Really? The radio in my home office is tuned one station: CBC Radio One (640 in St. John's). Because I do some work from home in the morning (I'm on leave now, but head back in just over a month), I need to be focused on what's happening ... and I'm too lazy to lean over and change it. In other rooms, and especially in the car, my loyalty flies out the window. How's this for repurposing? As seen on this post on Design Milk, a company is taking previously used materials - like piping - and turning them into home decor pieces. My wife spotted this hand-adorned pillow on Etsy this week. It mimics the already iconic silhouette of Jon Hamm from the opening of Mad Men, albeit with a Manhattan skyline added. A cool item, although I don't think I'm too tempted to get it; after all, what would Don Draper think? As much as I love Wallace & Gromit, I wonder how many serious-minded golfers would want to cover one of their clubs with their own private Gromit. Interested? You can buy it direct from the Aardman store. Our kitchen is a busy place, but a small one, which has meant we've had to be practical with fitting things into tight spaces. The Kitchn (yep, that's how it's spelled) has a how-to on making your own magnetic spice holder, which is an option I'd pursure - if I had enough wall space.